Jerrol Garcia-Williams Week 21 projected points and position rank. Standard scoring defined as: Tackles + Sacks * 2 + Interceptions * 2 + Fumbles Forced * 2 + Fumbles Recovered * 2 + TD Returns * 6 + Safeties * 2 + Passes Defended. Subscribe to see projections for all players! 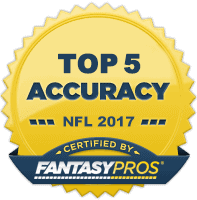 Jerrol Garcia-Williams week 21 fantasy football projections. Assisted tackles counted as 0.5. Subscribe to see projections for all players! Jerrol Garcia-Williams of the Denver Broncos is ranked # in our 2018 rest of season rankings. 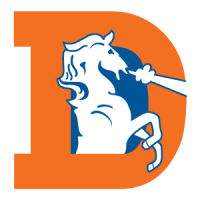 The bye week for Jerrol Garcia-Williams and the Denver Broncos in 2018 is Week 10. Jerrol Garcia-Williams stats and fantasy value. Standard scoring defined as: Tackles + Sacks * 2 + Interceptions * 2 + Fumbles Forced * 2 + Fumbles Recovered * 2 + TD Returns * 6 + Safeties * 2 + Passes Defended.